(first posted 4/3/2013) Seventeen-year-old Rodney was excited. It was the first weekend of the summer of 1972 and he was home all alone, his parents having taken a weekend trip to Branson to see the Baldknobbers. 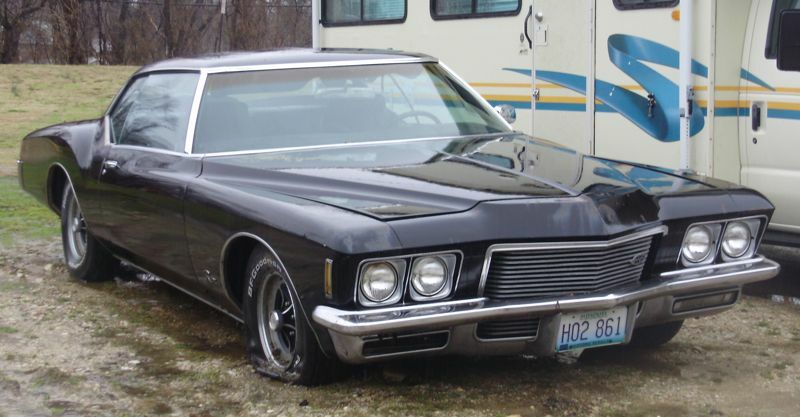 Rodney was especially ecstatic that on this first summer weekend, his parents had taken their Chevrolet Kingswood wagon and left him with their black ’71 Buick Riviera. Dear readers, you may suspect where this is going already–but don’t jump to conclusions; there are always twists in every tale. Rodney was a fairly typical 17-year-old in that he yearned to leave the constraints of his hometown of Cape Girardeau, Missouri. Yes, his ambitions ran tall, but so did his daring. Most thinking fathers would have disabled the Riviera in some fashion, but his parents, clueless as ever, left young Rodney with full access to their beloved Riviera. While Rodney had driven the Riviera, he was normally relegated to driving his mother’s old ’67 Mustang. One of the reasons Rodney yearned for more distant pastures was that the Mustang was powered by the “secretary’s special” 200 cubic inch straight six, which prompted Rodney’s nickname of “Miss Jane Hathaway”. The wonder and marvel of youth do bring their own burdens, and Rodney had found one with that nickname. He knew getting a chick would be tough, what with everyone calling him “Miss Jane”. As he viewed his weekend of freedom from parental meddling, he decided to change a few perceptions. Naturally, Rodney fired up the Riviera exactly thirty-seven minutes after his parents left. 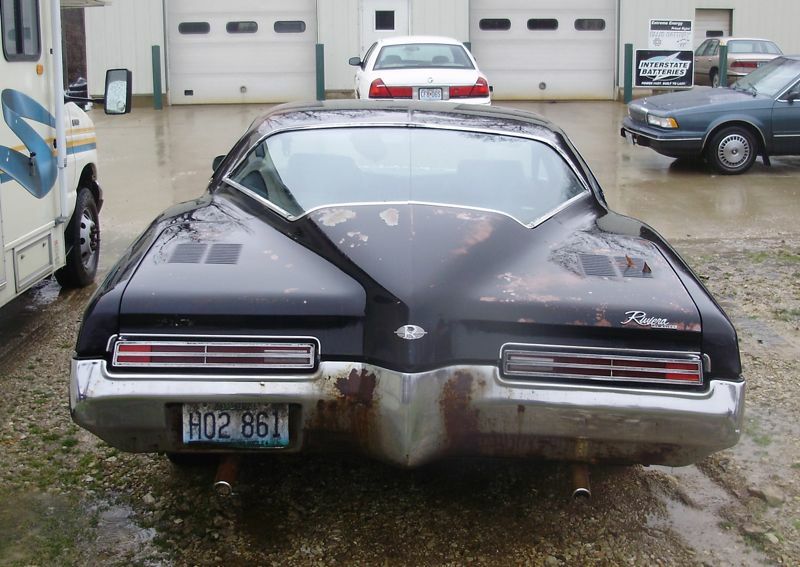 He loved the sound of its 455 cubic inch V8; he even enjoyed hearing himself say “Four fifty-five, four fifty-five.” He knew the 455 in the new ’71 Riviera translated to 315 gross horsepower–a figure he knew might never be topped, since the ’72 Riviera had a rating of 250 net horsepower. As any 17-year-old will tell you, a smaller number means there’s simply less power. After getting fuel, Rodney took the Riviera to the car wash for a good scrub, and even vacuumed the interior. Tonight, he meant business–whatever that might turn out to be. When Rodney woke at 6:30 from an afternoon nap, he was raring to go. Every town in the Midwest has a spot where teenagers cruised back and forth. In Cape Girardeau, the place to be seen was Broadway, between Hauck Stadium and Caruthers Avenue. If you were truly cool, you would swing through Capaha Park and ease into the area by the old locomotive, just down from the swimming pool. Rodney was truly addicted to the new-car rags, which had fed his youthful passion for the Riviera. He knew it was designed under the direction of Bill Mitchell, and that its look was panned frequently. A boat-tail on a boat of a Buick? Rodney thought it was all a bunch of garbage; neither did he care that the Riviera was aimed toward those having more sophistication and life experience than he: To Rodney, this Riviera was timeless. As he left the garage, Rodney turned on the radio. As soon as he pulled out of the driveway of his family’s west-end home, the best song of 1972 (so far, at least) was introduced by the DJ, Rusty Sharpe (described by others as being “excellent in broadcasting”). Rodney loved the solid bass, the trumpets, the cello, the harp and the wa-wa guitar flailing away. Rolling the windows all the way down (with a button–what a concept! ), Rodney soaked in the pure, soulful funk of the music, then marinated in the lyrics of five men asking their mother questions about their now-dead philandering father. Rodney was convinced that life could get no better: After all, it was summer, he was alone for the weekend and he was driving a great set of wheels. The burble of the 455 nudging him up to speed was addictive. Rodney knew exactly what torque was, and was a tremendous fan of how the Riviera delivered it. He knew his Mustang’s puny straight six could only dream of being so smooth and assured. After a few laps up and down Broadway, Rodney eased into Capaha Park. Making the loop, he spotted a few friends from school. He pulled in and stopped. “I have my ways. What’s cooking tonight?”, Rodney inquired. He learned that a game of Chase was scheduled to start just after dark, and Rodney said to count him in. For the socially deprived, a Chase game is exactly what you think it is. The goal is to elude your pursuer within a specified time frame. If you do, you win; if you don’t, they win. Tonight there were just enough people for a small tournament. Rodney chatted with his friends a while and was introduced to Donna, a girl from nearby Scott City, and a friend’s cousin. Rodney could not remember when he’d ever had so much trouble finding words to talk to a girl. In Rodney’s eyes, Donna was the hottest thing ever; in hers, he was a bumbling, but lovable, oaf. He dug her long hair, her smile, her bubbly personality–and not least, the tight shirt and pants she wore. It was time for the game to start, and Rodney asked Donna if she wanted to ride with him. She did. As they got in, Rodney told her he was having a really great time with her, and she smiled to herself. Rodney also smiled to himself; he knew the Riv liked to lean a wee bit in the curves, and it was likely that its black bench seat would cause Donna to slide over his way. Yes, life is good, Rodney once again told himself. By drawing straws, it was determined that Rodney would be pursued by a classmate driving a ’68 Plymouth Satellite. Rodney knew his Riviera’s 455 would flog the 318 in the Plymouth unmercifully. Once they’d eased out of the park, the chase was on. Donna was at once impressed and scared speechless by Rodney’s driving ability–she’d never traveled up and down the hills of city streets at 52 miles per hour–and it really reminded her of a guy she had seen in a movie at the drive-in. Rodney was getting nervous: the Plymouth was on him like stink on a skunk. How can that happen with a 318, Rodney kept asking himself. Actually, Rodney had performed absolutely no research on his competition, primarily due to a two-legged distraction with long hair and a great smile. He did not realize that the ’68 Satellite sedan behind him was in fact powered by a 383. At this point, Rodney was not thinking about the local constabulary. He was thinking about how to elude his pursuer in the frustratingly swift Plymouth. Rodney was also keeping an eye on Donna, who was enjoying this thrill ride, and he knew any girl who wasn’t screaming for mercy by now was one fine and groovy chick. No one involved in the chase realized they’d gone over the self-imposed time limit that was intended to minimize the possibility of having to speak to the fuzz. At this point, after having received many calls, many of “the fuzz” had been dispatched to the scene in their ’71 Ford Custom patrol cars. In the Riviera, Rodney was still keeping his foot planted on the firewall as Donna expressed her delight, which translated into Rodney tackling hills more vigorously and pouncing on curves more aggressively. Rodney kept realizing new levels of driving finesse, courtesy of both the Riviera and his sheer delight with Donna. As luck and fortune would have it, Rodney soon spotted a ’71 Ford sporting a gumball machine; he veered onto another side street, realizing that he was frighteningly close to home. Having a rare moment of lucid thought, he stopped the Riviera and got out. The Plymouth pulled in behind him, its driver thinking he had won. After Rodney informed him of the situation, they carefully eased back to Rodney’s house to wait things out. Many years later, Rodney and Donna still laugh about that evening they first met. The only suspicion ever raised about his and Donna’s first outing was by Rodney’s father who, a week or so later, had noticed rapid wear on the outside of his front tires and that the right-front tire kept losing air, thus prompting him to check the Riviera’s alignment. Rodney’s parents kept the Riviera another five years, until September 3, 1977, when Rodney and Donna got married. They gave it to the newly married couple, who still own it to this day. The Riviera is now 42 years old, and time has begun taking its toll. Rodney and Donna, now both retired, have decided to restore their beloved Riviera and travel the country in it. Perhaps it isn’t the most efficient mode of travel these days, but seeing as how it brought together two youngsters many years ago, it seems only fitting that they use it to keep their flame burning. A polarizing design, to say the least; I really like the ones produced before bumper regulations blunted the tail. Although, I can’t help but wonder how the design might have turned out had GM allowed the use of the A-platform, as was originally planned. I prefer the Silver Arrow III design to what finally came out. The concept Cadillac Ciel has brought back the “fish look” in modern design. I am a huge Riviera fan, but find the 71-76 years my least favorite. I’ve heard that many times before…….had to try it! These are cool, nice using the Skylark though. 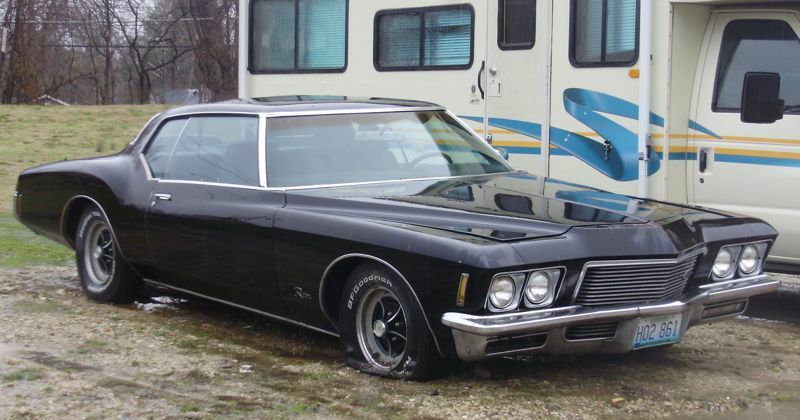 If Bill Mitchell had his way the 1971 Riviera would of used the Monte Carlo/Grand Prix A-body Special platform as I suspect you’d know. Sizing the design up to the E body was a mistake. 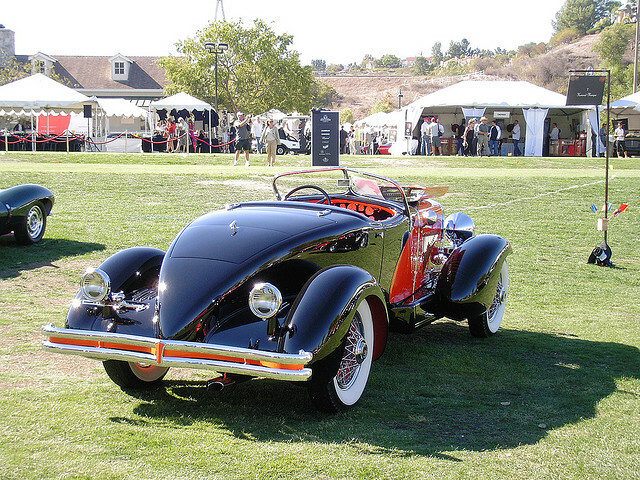 Minor correction: the Boattail Riv was “sized up” to a B body no an E body. Had to accommodate B body glass (except the backlight) B seating package and B inner panels. An E package would have been an improvement. Very nice. Cool story! A great way to start the cold work day. Thanks. As usual, a great story. Agreed. Great story…Favorite website now. 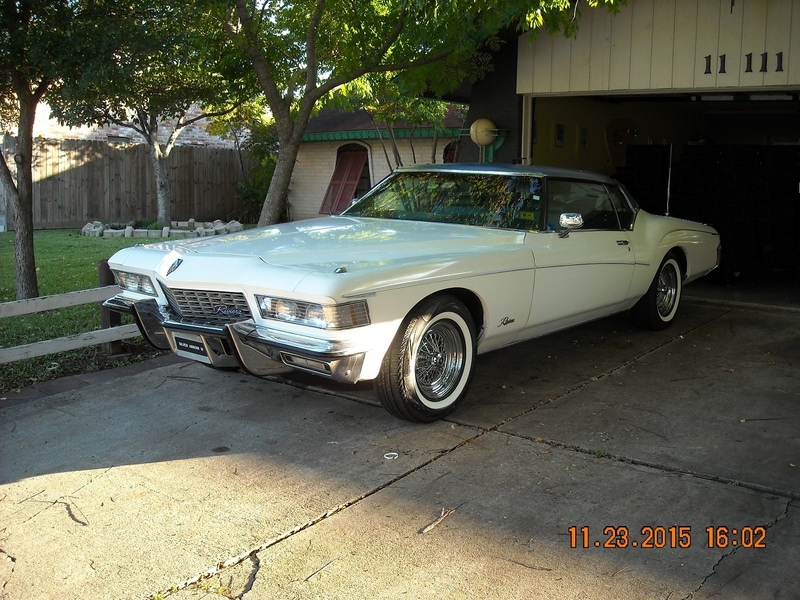 That Riviera should be mine…that’s all. Dang it I love a boat-tail Riv… yes over the top, yes more flash than substance, yes it is Bill Mitchell taken to his logical extreme but damn it I want one! 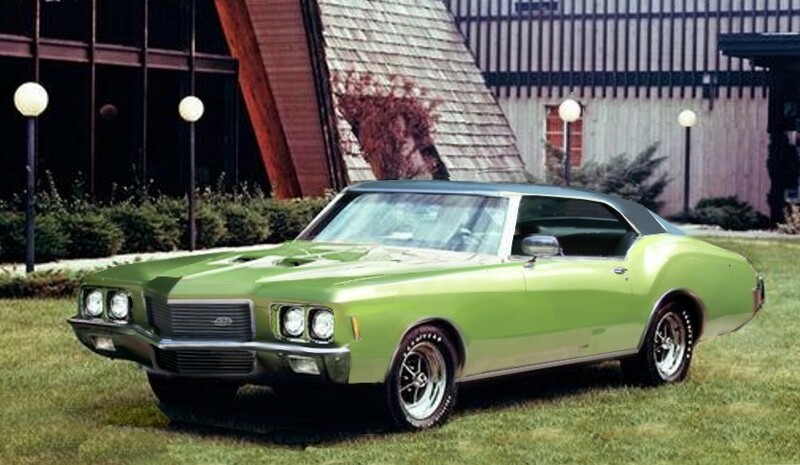 The rhythm of those #s, four fifty five… doesn’t matter if you’re saying Buick 455 or Oldsmobile 455 Rocket, those words just roll off the tongue. What fun. 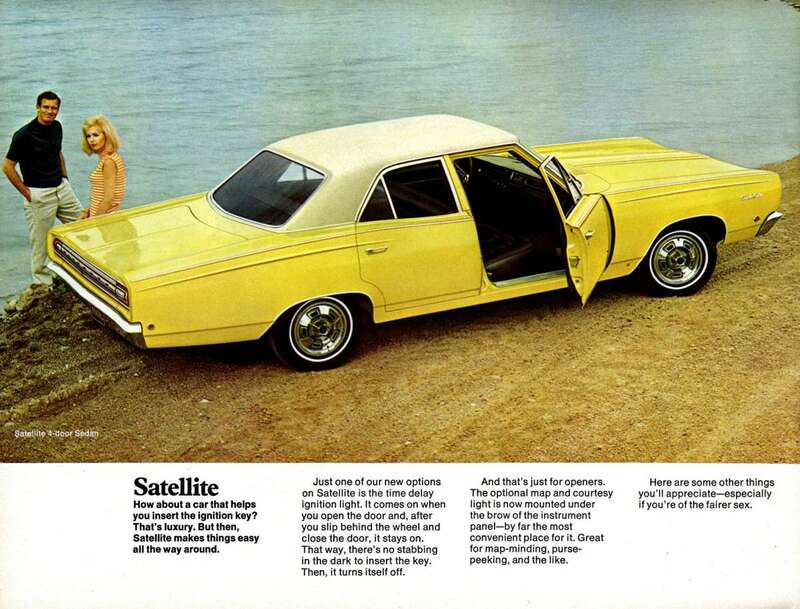 But I smell a narc – the kid who had a 383 Satellite sedan? His dad must have been an undercover cop! Nah, his dad had a huge whopping bass boat and needed to pull it! I love all of your fictional pieces, but this one really had me re-living the crazier portions of my youth. Hotfooting the car home and getting the garage door down behind it is something that I did too. From my experience, the poor lad in the Riv was doomed – The Satellite was pretty close on a power-to-weight basis, and would probably have been faster through the corners, too. Getting out of that race with a draw and without a ride in the back of a Ford sedan was as good as it was going to get. These cars always seemed so exotic to me. They were so outlandish, almost cartoonish, but there was something alluring about them. There was an older couple down the street who owned one of these – brown – and they seemed so miscast in that car. These cars needed a 40 year old advertising exec with long sideburns and zipper boots. I have also long been fascinated by GM’s one year experiment in Flow-Through ventilation. 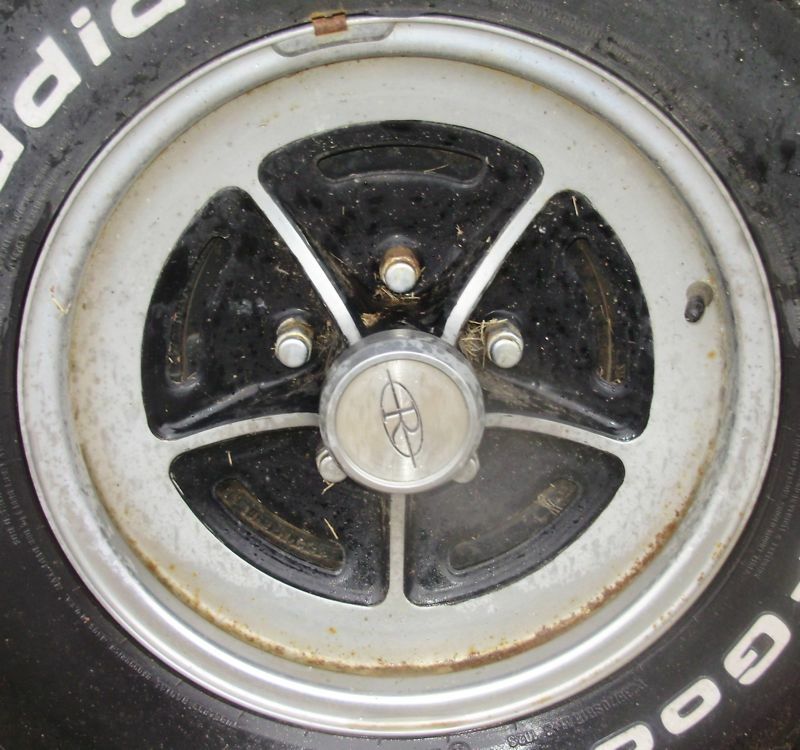 Every one of the big 1971 GM cars had those air exhaust vents on top of the trunklid. I never lived around anyone who had one, and never understood how they dealt with water. It must not have worked very well, because the feature was gone by 1972, and it must have been a moderately expensive change to re-do so many different decklids. A fun find and a fun morning read. They relocated the vents to the doorjambs. DeLorean talks about this vent system briefly in his book. Don’t remember the details but it was less than satisfying. those are to drop the cabin pressure down to something tolerable. otherwise you pressurize the cabin with the HVAC fan and can find all sorts of new water leaks. As it is, you can feel air blowing through the door locks and handles, any iffy weatherstripping, and iffy window seals with just the doorjamb exhaust vents and the HVAC fan on high. I loved these the first time I saw one on Beale AFB. Thing is, by that time, all the new land-yachts coming out made my 1964 Chevy SS look almost mid-sized! Now you all know why I swooned over the Chevelles and other GM mid-sizers from 1968-1972. Why couldn’t my Dad have driven one of these instead of a stripper slant-six Dart? Only divorced fathers bought the Riv, married fathers bought the slant six. Divorced mothers got the AMC. I wish my Dad had his Dart slant 6 instead of the hearing aid beige Austin Allegro when I was a kid! I test drove a ’72 years ago near Ft. Leonard Wood. This is somewhat based on my test drive, although it had a hesitation when the secondaries kicked in. JP, when prepping for this I read exhaust flowing into the cabin presented itself as a very real issue. The same thing that got those MTV reality show guys dead in their mud-bound SUV a few days ago . . . I did actually see that, but you know you can’t believe everything you read on the internet. It’s miles better looking than the T bird of the same year.Heavy metal rockers Girlschool had the back of a boat tailed Riviera under the drum kit as part of their stage show round 1981/82.There’s a neat drawing of one for the cover art for Hit and Run,good album too. Love the story. Also, that rear bumper and the vents on the truck lid. Oh my. Great Story on a great car. One I would love to have. Reminds me of a former boss who would let us borrow his 72 Mark IV. Really something for someone whose parents had a 65 Valiant and a 67 Fury II. My normal rides. Bean counters….not been. And it was Buick upper management that didn’t want a sub-full size Riviera, because, well, they didn’t want one. Also they didn’t want to pony up for new glass for the G-body based Riviera. Per Ate Up With Motor, the Buick Division manager wanted it “full size”. Even if you are not a Riviera aficionado, you can tell this is a 1971 by the louvers on the truck. That was the first year GM came out with the Flow-Thru ventilation where the fan was always on. Until people complained of drafts in the morning and they changed the flow pattern to through the doors. Certainly the styling was influenced by the success of the 1963 Corvette, but Mitchell would have been at the age to have remembered at a young age the fabulous Duesenberg boattail designs of the 1930s. 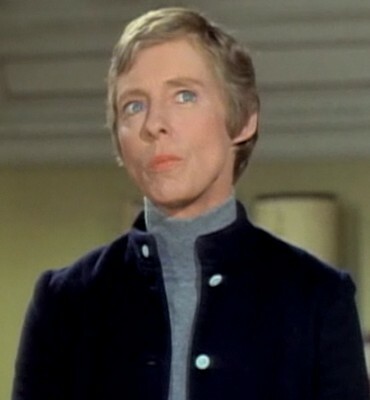 Well, to be correct to the show, Miss Jane drove 1962-69 Dodge Coronet convertibles* until the last season and then had a 1970 Challenger ragtop. Most likely with a Slant 6 or 318. I always took Miss Hathaway to be more of a Subaru Forester kind of gal. #IIRC “Jane” drove a ’62 Plymouth Fury convertible for at least part of the first season? She did. I joked last I saw it that Chrysler didn’t want to advertise the ’62 Dodge. No doubt there were other reasons. How sweet it was growing up in America when luxury coupes had the magical ability to turn into road racers by simple virtue of the fact that the folks were out of town. I think the story played out in every town. These wundercars seemed to “know” when a special night was at hand and could select the perfect tune for the radio. 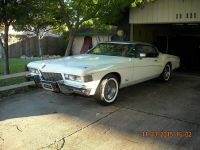 In my case the place was Encino CA, the car a late 70s Coupe deVille and the song Celebration by Kool & the Gang. With a DJ like that who needs an iPod? The combination of 5,000lbs, understeer and of all things a fire hydrant ended our night early. After surveying the damage, we fired her up and heard that famous bass line of a certain Queen song. Cars back then had a sense of humor, at least that one did. Fun story! I thought it was true when I was reading it, but it’s just as good either way. I used to want a boattail and strongly considered a ’71 a few years ago, but I think I’m OK without one now. They definitely have the most muscle car flavor of the early ’70s E-bodies — I was very impressed when I drove that ’71 with its smooth power. 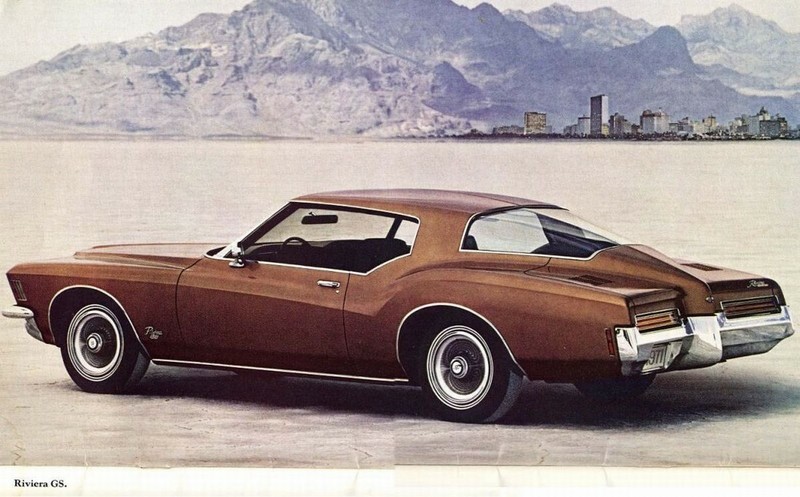 Even though it’s more traditional looking, I think I prefer the ’71 Toronado — they’re less often seen and quite striking. I often wonder what a boattail would have looked like if had actually been built on that Monte/Grand Prix chassis — I think it would have been more successful. Nice story. I’m surprised no one mentioned the song “Papa was a rolling stone”, “wherever he laid his hat was his home.” The Temptations, I believe. Nobody caught the Cape Girardeau/”Rusty Sharpe”/Rush Limbaugh references? I caught the “Rusty Sharpe” right away…Rush did two tours of duty here in Pittsburgh just before and after this story would have taken place. He was at WIXZ in 1971 and then back at KQV in ’73. Both were Top 40. Yeah…SAE net horsepower, low compression engines and Gilbert O’ Sullivan singing ’bout death and suicide on the radio…not exactly the best of times. No wonder we were all nostalgic for the 60’s back then! I love this story. It’s just relates so well to any summer night when you were that age. I tend to be too practical of a person these days, but somewhere deep inside, I have a weakness for the personal luxury coupe. 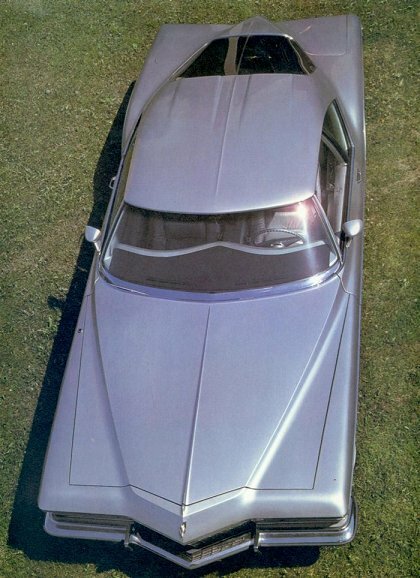 While the Thunderbird was always my favorite, I have always had a thing for the Riviera. 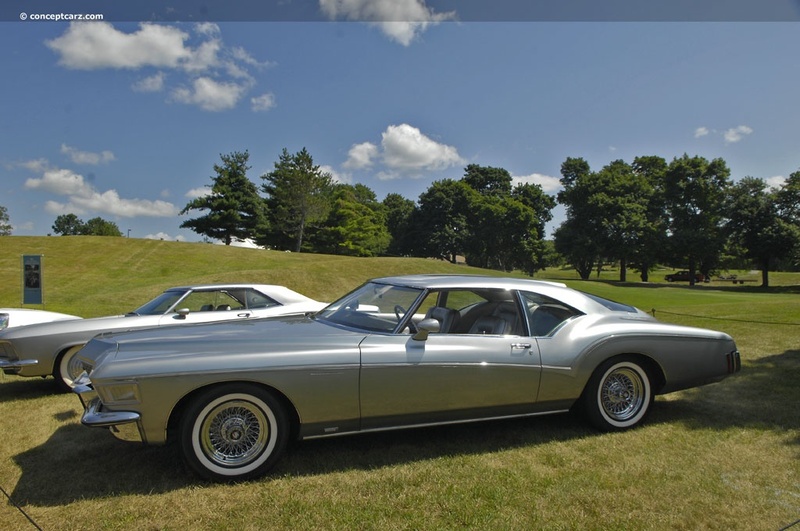 Probably my favorite GM luxury coupe throughout the years. 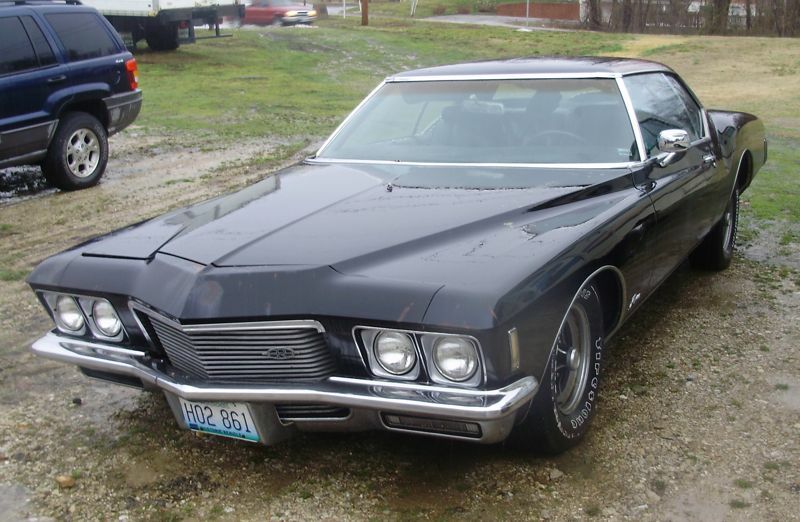 In my early twenties, my daily driver was a very nice ’71 Riviera. It had the same Pea-Shooter Exhaust and wheels as the feature car and it wore P235/70/R15 white-lettered Eagle ST tires. 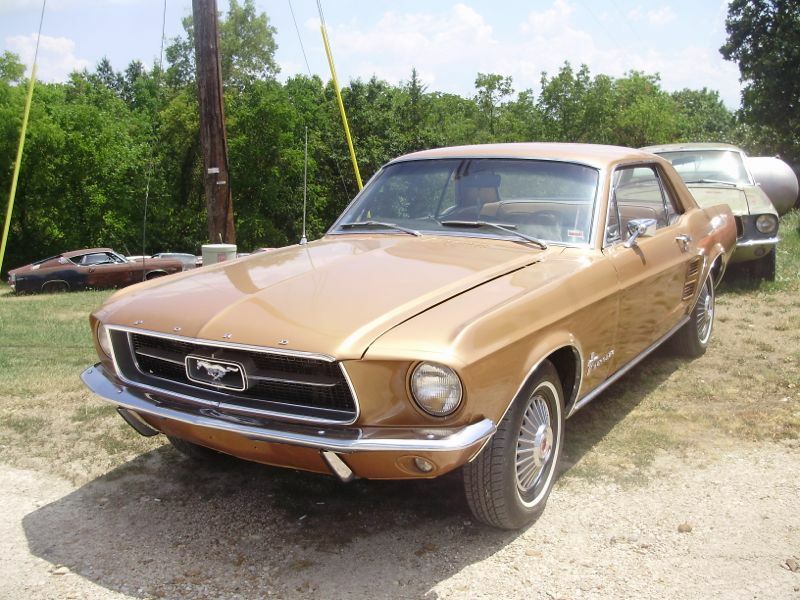 Other than the awful Bamboo Cream/Brown/Brown color combination, it was just gorgeous and I loved driving it.. It was very quiet and very fast! The speedometer needle would start bouncing around 40mph and it would get worse as the speed increased. It bounced so bad it would constantly activate the Speed Alert Buzzer despite the pointer being set to the extreme right. That constant buzz buzz buzz buzz was maddening at times. It was heavily optioned although not with the buckets/console. 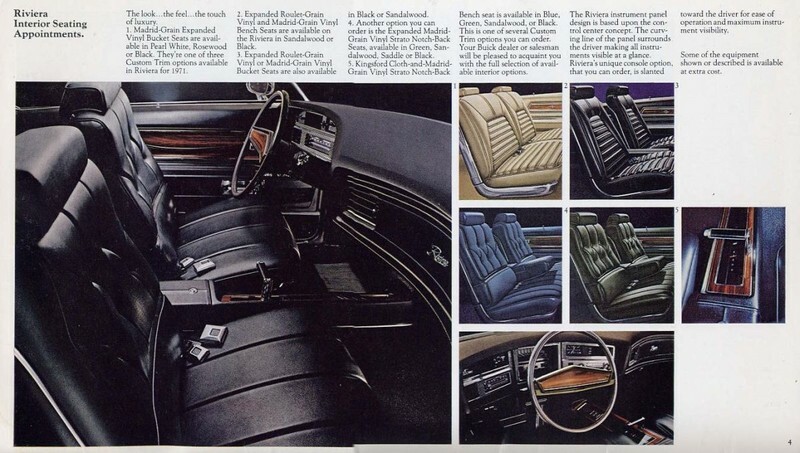 The enormous dash pad helped mask the fact that the instrument panel was identical to the B and C body Buicks of ’71 and ’72. 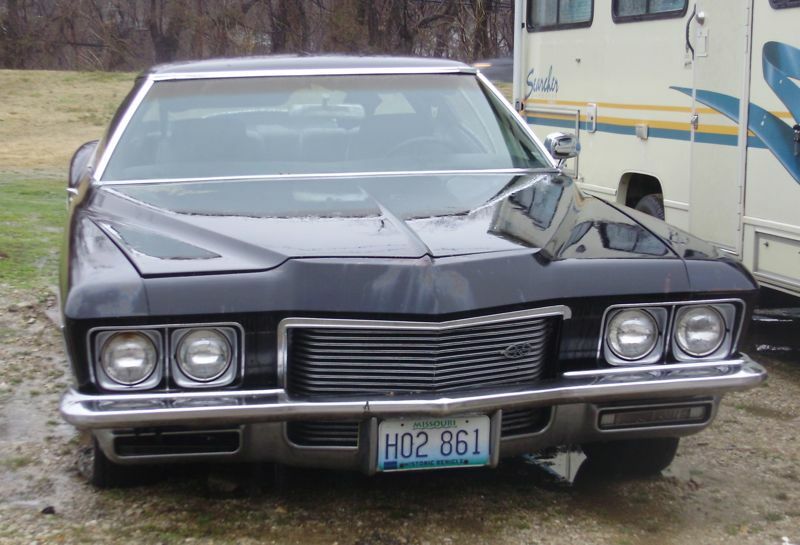 The instrument bezels had engine-turned inserts which were very sharp and further differentiated the Riviera from the other big Buicks. Thanks for writing it up Jason: this car brings back a lot of pleasant memories of a very special car. My example was too nice and original to change its color combo and when my friend burned the transmission up in it (thanks! ), I traded it and two other cars to a car lot for a ’78 GMC truck. The lot installed a new transmission, sold it, and I never saw it again. 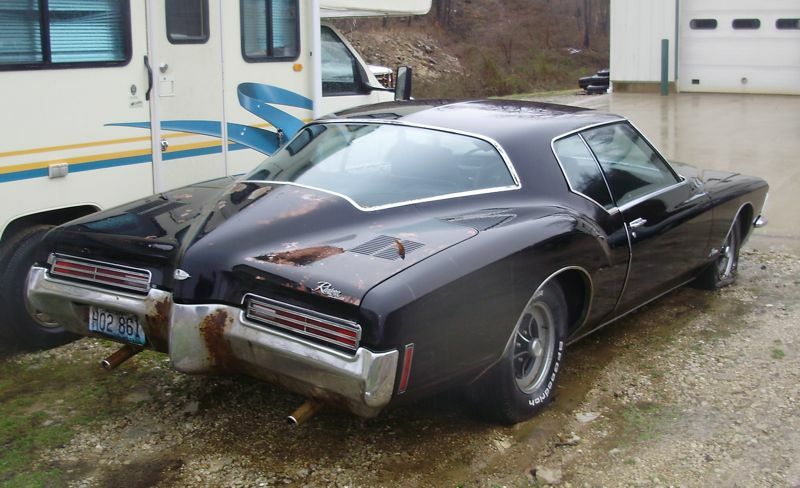 I currently have a rough ’73 but my eyes will remain peeled for a blue or green ’71 and ’72 Riviera, preferably with floor-shift to complete the Trinity. 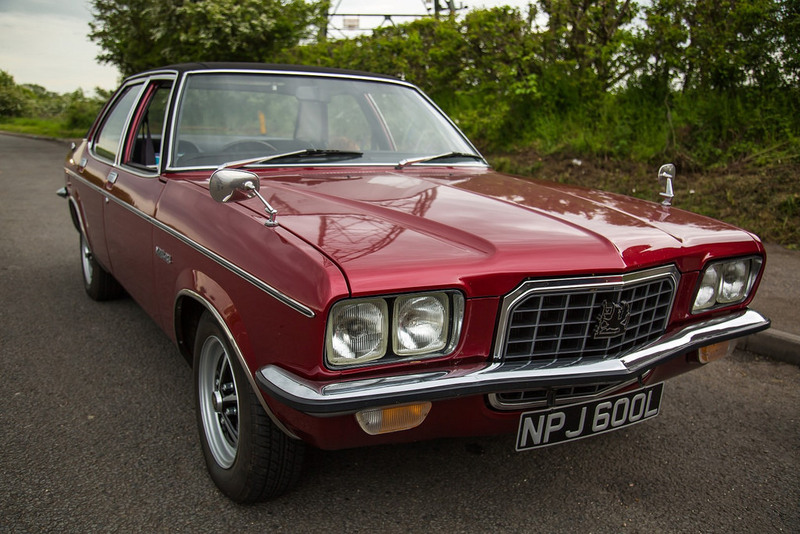 Vauxhall Ventora would be nicer if it had a nose seemed to that one of the Riviera. Excellent story! I had the Temptations in my head for the rest of the day! I hope Donna kept her looks after all these years. Really cool story!!! love the Rivi!!! 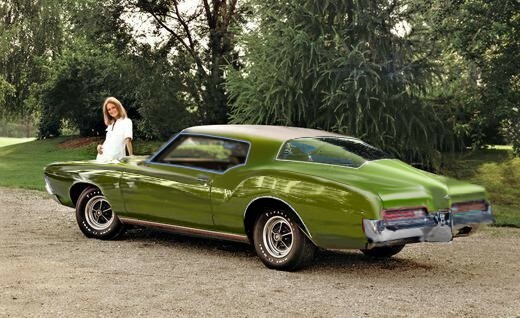 If the 1971-72 Riviera had been built on the smaller body, it might not have looked as good as most of us have thought. What would have made a huge improvement is if the bean counters had allowed Mitchell to spend the extra money on a lower windshield, which would have been expensive and in addition to the already approved expensive rear window. I photo edited my Silver Arrow IV roof to show the lowering of the windshield about 3″ to 4″, in addition to my Silver Arrow front end changes. These changes along with the lowered top (as on the Silver Arrow III), but with the same rear boat tail glass give the car a dramatic low slung smooth look of speed as if it was a concept car. The chunkiness of the high roof line did the size of the car no favors. But with the lower roof, the design really comes into it’s own – more so with the smooth blended in horizontal themed front end of the Silver Arrow. I almost wish that me car was not so original and nice, or I would round up the best chop top folks to see about lowering my roof. I have always loved Rivieras, 1965 & 1966 being my favorites based on looks. I’ve even come to appreciate the 1970 hack job of the original ’66 body. But when that 1971 came out it was like “WOW”. It was very controversial but I found it to be exciting and different. Hell, I might even say it was beautiful. I read somewhere that no one in Buick styling will acknowledge any responsibility for the design. Odd. I would love to see photos of any mock ups of the original stretched A body proposal. As much as I’ve heard about it, I have never seen it. I think there would be some photographic documentation. And really, did the 1971 Grand Prix look that much smaller?